Amber Green Apartments -- three 2-story brick buildings, on the north side of W. Thirteen Mile Rd., one block east of Crooks Rd., Royal Oak. Each of the three 3 bedroom New York style townhouses is on two levels, with private front and rear entrances, full basement and laundry hook-up. Each of the three 2 bedroom Pennsylvania style townhouses is on two levels, with private entrances, full basement and laundry hook-up. Each of the eight Quebec style 1 bedroom apartments is on the 1st or 2nd floor level with front and rear apartment entry. Each of the twelve Ontario style 2 bedroom apartments is on the 1st or 2nd floor level with front and rear apartment entry. 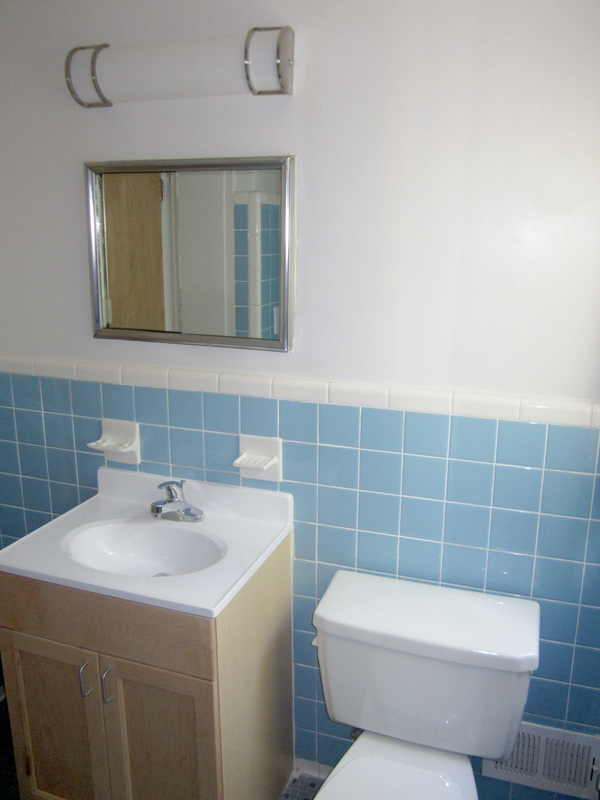 Rent includes cold water, kitchen appliances, dishwasher, horizontal blinds, and off street parking. Cable T.V. available. 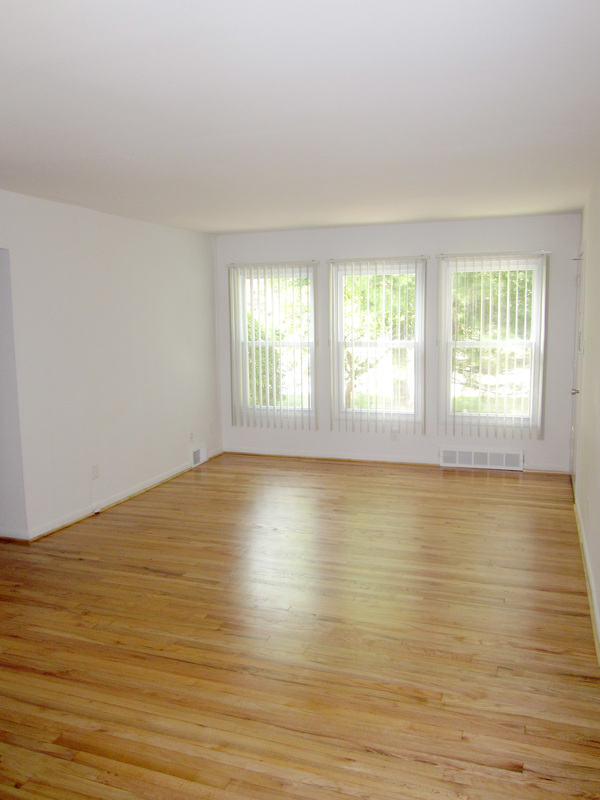 All twenty-six apartments and townhouses all have oak floors, central air conditioner, ceramic tiled bathroom and kitchen, and basement storage locker. Coin operated laundry machines are located in the basement of each building. 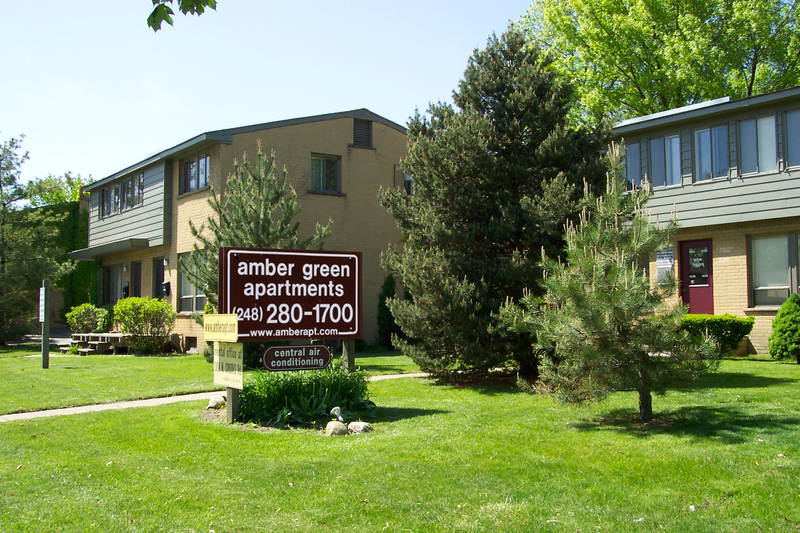 Amber Green Apartments are near Downtown Royal Oak, Somerset Collection, Woodward Avenue and I-75; also close to schools, parks, and Beaumont Hospital.